UMPIRING = CASH, FITNESS, FOOTBALL – and that’s just for starters! 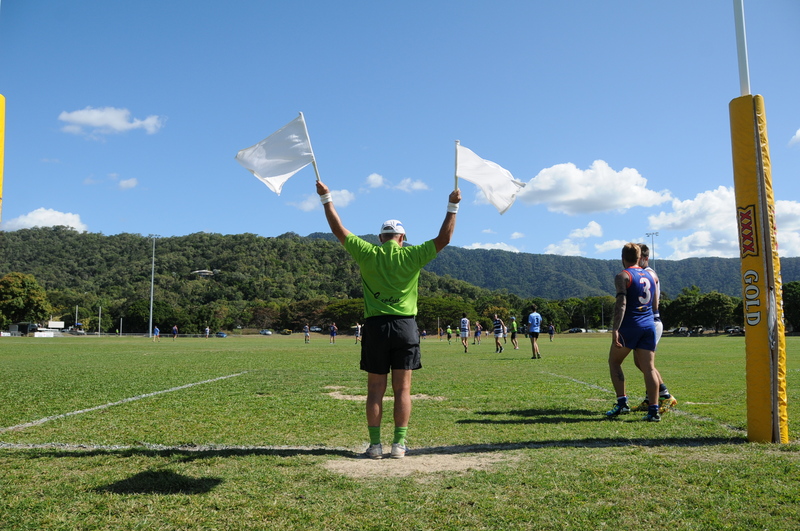 AFL Cairns and the AFL Cairns Umpires Association (AFLCUA) are currently recruiting Field, Boundary and Goal Umpires for the 2019 season. You will be appointed to matches in the AFL Cairns and AFL Cairns Juniors competitions. With games on Wednesdays, Fridays, Saturdays and Sundays, there are plenty of opportunities to umpire. You will be provided with training, and one on one coaching on match days – so you won’t be dropped into the deep end. Umpiring is a great way to improve your’ fitness. Umpiring rates start at $25 for a 48 minute U/12s game, and can reach $150 for a Senior Field Umpire. And when you think that you can be paid up to $90,000 a year as an AFL Umpire, then it is a lot better than paying for a gym membership! Umpiring can build your confidence, help you make important decisions under pressure, and improve your interpersonal and communication skills.. You will not get better training in all these areas than by being an Umpire. Are you fit, dedicated, motivated and hard-working? If you want to Umpire some amazing football, then there are pathways in place to help you get to the top. Umpiring can take you around Australia, umpiring in Country, State and National Championships, all the way to the AFL. This is the launching pad for an exciting career as an elite Umpire. Umpiring is a great way to get paid whilst having fun. It is a challenging, but very rewarding job. Once you try it – you’ll love it.